Below are some of the most FAQ about Yoco. A: Yoco is a solution that allows vendors to accept credit cards where they are. Connect the wireless card reader with the smartphone app via Bluetooth. Enter in the amount the customer is buying. Choose either cash or card payment. If you’re using a card, the customer inserts their card and enters their PIN. Yoco will show if the transaction has gone through. Yoco includes a wireless card reader smartphone application. Our app is compatible with most brands of smartphone, and you will also need an internet connection to process transactions with Yoco. Q: Which cards can Yoco process? 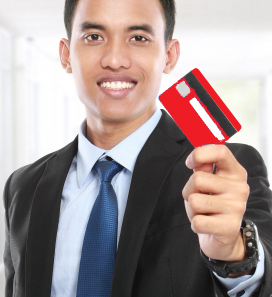 A: Our systems allows you to process Visa and Master Card credit cards. And works with chip, pin, swipe and international cards. FAQ: What type of smartphone do I need to run Yoco? A: Our system works with most Apple and Android devices. FAQ: How do I get Yoco? You can sign up online, either as a sole proprietor or registered business. A bank account we can link to your Yoco account. If you sign up as a business, the person who applies must be a principal, director or legal entity. You will need FICA approval; this requires copies of your ID and proof of residence. FAQ: Where do you download the Yoco app? Our app can be downloaded from either the Google or Apple app stores. FAQ: How much does Yoco cost? There is a once-off cost for the reader. And we charge a maximum of $3.99 (3.5% ex VAT) plus a flat fee of R2.00 (R1.75 ex VAT) for payments below R50. There are no monthly rental fees or contracts or admin fees or any other hidden costs. FAQ: Can I pay for the reader through instalments? A: It’s possible to pay off the card reader weekly. Wireless PRO card reader: R209.47 Inc VAT p/w * for 16 weeks + R50 processing fee. Wireless LITE card reader: R149.62 Inc VAT p/w * for 16 weeks + R50 processing fee. FAQ: How do you get your money? A: When you make a sale the money is paid into your bank account straight away, minus our transaction fees. We make the deposit within 24 hours, and it should reflect within 24 – 48 hours. FAQ: Why do we need FICA? A: We must adhere to the FICA regulations and will need to verify your identity. A copy of your I.D. which has been certified. FAQ: Where does Yoco deliver to? A: We can deliver to any location inside of South Africa. FAQ: How fast can you set up Yoco? A: Our average set up is four days, depending on credit approval and payment. FAQ: Does the Yoco card reader work with multiple smart devices? A: Our reader works with multiple devices, but only at one time. FAQ: Does Yoco need internet access to work? A: Yes, Yoco requires an internet connection to work, and your phone must be connected to the internet to process payments. Our system does not use much data, though. Each transaction uses approximately 50 – 100 KB of data, and this works out to about 10 – 20 transactions per MB and about 10 000 – 20 000 transactions per GB. FAQ: Does Yoco need electricity? A: Yoco does not need electricity. FAQ: Will Yoco print receipts? A: Yoco does not print receipts, but you have the option of emailing or texting receipts to your customers. FAQ: What happens when I sign up? Q: Once you complete the application and pay for your card reader you’ll receive an email with your order details and receipt. We will then process your application and if you qualify your reader will be sent.